This story is a series of letters going from different characters within the story. It starts with a letter from the Secretary of War to Jupiter Doke of Illinois. It informs Jupiter that he has been appointed to brigadier general and asks if he accepts. Jupiter accepts and speaks of how proud he is to serve. The Secretary of War writes to Major-General Blount Wardorg to inform him that he has assigned Jupiter and that he has a plan for dealing with some bushwackers. Blount replies that Jupiter's name is unfamiliar but he is happy to have him. He notes that he has abandoned the discussed territory to the enemy due to losses. The Secretary then writes to Jupiter telling him that they need to move forward with his work even if his formal letter of his acceptance has been acknowledged. He directs Jupiter to report to Blount in Kentucky but that he must maintain secrecy until at Covington. Jupiter writes to tell the Secretary that he has arrived in Covington and allowed his brother take his place in the politics at home. While he is moving forward into battle, he also makes mention of favors that he is hoping to ask of and receive from the president. Jupiter next writes to Blount to let him know he had arrived at his destination, Distilleryville. His writing focuses on trifling things that seem to not be particularly relevant to the war at hand. The next entry is from Jupiter's diary which accounts of the different actions he is pursuing now that he has arrived in Distilleryville which are largely domestic and commonplace--none seem in conjunction with the fact that he is engaging in war currently. The next entry is an editorial from his local newspaper that commends Doke's reports on the battles that he is encountering in Kentucky. The final series of letters between Blount, the Secretary of War, and generals from the Confederate army center on the increase violence in the area and that Jupiter shouldn't look to engage in the battle. However, a battle does ensue as part of Blount's plan and the Confederate army is devastate in the battle. Jupiter is commended by Congress but afterward, a local reveals that Jupiter was running scared during the confrontation. Curious names - "Blount wardorg" sounds like blunt war-dog while the name Jupiter could imply big but gaseous (that is, not made of substance) or far out in space. Even the cities carry a certain weight such as Distilleryville, wherein it seems that Jupiter is to be tested or purified. 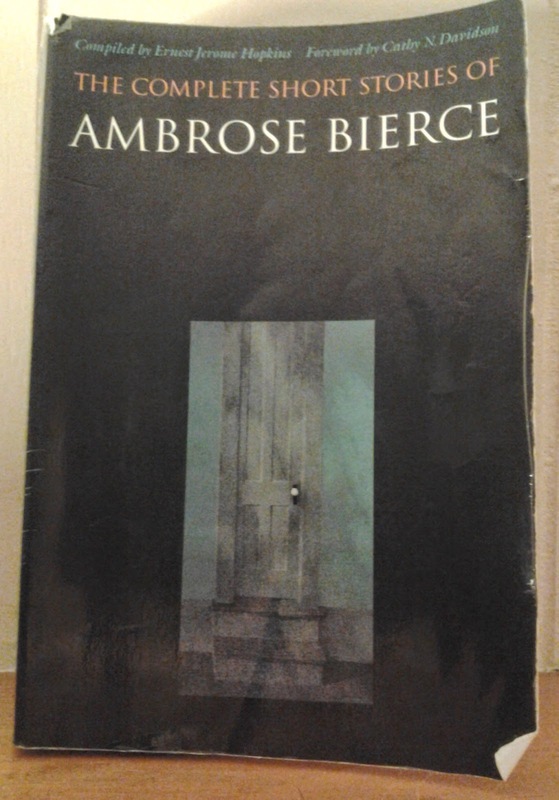 The story was a little bit hard to follow entirely as it isn't always clear what Bierce is referring to.